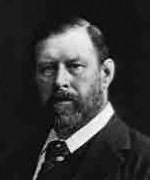 For most of his professional life Bram Stoker was known only as a footnote in the life of another more famous man, the actor Henry Irving, for whom he was personal secretary and biographer. Today, of course, Irving is forgotten outside the annals of theatre, while Bram Stoker is remembered worldwide for his own creation of an enduring character, Dracula. Abraham Stoker was born in Dublin, Ireland, to a civil servant father and writer mother, and followed into both of their professions. After graduating from Trinity College in Dublin as a mathematician in 1867, he joined the local civil service where he stayed for ten years, while writing as a part-time freelancer. For five years he was drama critic for the Dublin Evening Mail. He became friends with Sir Henry Irving and in 1878 agreed to move to England and become the actor's secretary and manager of his London-based Lyceum Theatre, a job he held for the next twenty-seven years. His first book, written before he left his native land, was not exactly a popular blockbuster, entitled as it was The Duties of Clerks of Petty Sessions in Ireland (1878), but it became a standard text in the field. While working for Irving however, he began to write short stories and novels with a little more, though still limited, success. His first novel was The Snake's Pass (1890) but his biggest success came with Dracula (1897). It's been speculated that the character of Count Dracula was based on Irving, a charismatic figure whose demands on Stoker's time drained the younger man of the energy that would otherwise have gone into his literary career. Stoker, however, did manage to complete several other novels on the side, the best known of which is The Jewel of Seven Stars (1903), a thriller/horror tale involving grave robbers of Egyptian relics and a mummy's curse. After Irving died, Stoker published Reminiscences of Henry Irving (1906) and continued to produce fiction, including The Lady of the Shroud (1909), a Frankensteinian story of reanimation, and his second most popular work Lair of the White Worm (also called The Garden of Evil, 1911), a tale of ancient evil. None of his works, other than Dracula, have stood the test of time however. His writing (even in his most famous work) often appears awkward. His characters are cardboard thin and their moral concerns somewhat dated—obvious relics of the repressed Victorian era. Only in Dracula was he able to thrill his readers with the potential for breaking free of repression, while (barely) keeping a lid on the explosion of libido and free expression, in a fashion that would excite readers for the century to come. Stoker tried to adapt his famous novel for the theatre but gave up after criticism by Irving. More than a decade after Stoker's death, Irish playwright Hamilton Deane produced a stage version in England, turning the vampire into a more modern and sophisticated character. This play was in turn rewritten by American playwright John L. Balderston for Broadway. No cinematic versions of Dracula were released during Stoker's lifetime, the first silent film being the unauthorized Nosferatu in 1922. The first talkie and authorized version was 1931's Dracula starring Bela Lugosi (actually based on the Deane-Balderston play). Dozens of adaptations have followed and literally hundreds of films reference the Dracula character in some way. Two years after Stoker's death, his widow published Dracula's Guest and Other Weird Stories, the title story having likely been a chapter deleted from the novel and reworked by Stoker. Several radio and film productions have been (very) loosely based on the story. It has also been rewritten and expanded into a novel recently by another author.